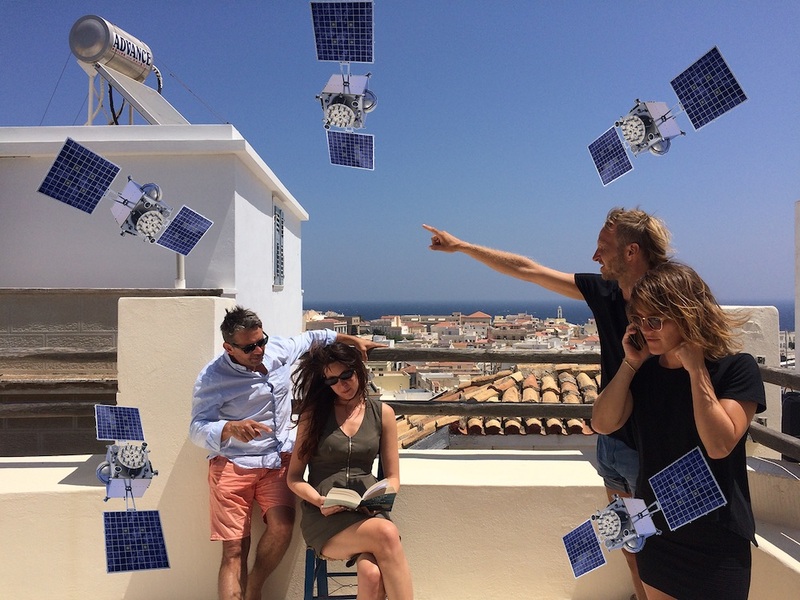 Walking with Satellites is an exploration of meanings held within the GPS satellite network (typically hidden behind the hegemony of user interfaces). It contends that rather than being concentrated in the ways an individual interacts with technical objects and interfaces, an experience of space is held by the multiple human and non-human objects which form GPS infrastructures. The project uses walking workshops which leverage GPS diagnostic tools to speculate on themes and phenomenologies across such networks. GPS technology emerged from a Pentagon-funded research project in the 1970s and spent much of its early life facilitating military operations, most famously in the 1990s when a discourse around targeted ‘surgical strikes’ emerged. Here, missiles fitted with a GPS sensor could be targeted and tracked with a greater degree of accuracy. Civilian uses of the GPS network were operated with deliberately low accuracy until the year 2000 when it was decided to allow civilian users accuracy within 5 metres. In the period since, civilian uses of GPS have increased dramatically, especially since smartphones began to incorporate the technology in the late 2000s. Now ‘location services’, commonly driven by GPS are used in many smartphone apps, either explicitly as part of the service offered by the app (Uber, Yelp) or in the background as a data gathering tool. While we are likely most familiar with these applications, GPS is also used to sync financial trades, predict the weather and track pets, children and criminals. It has, in short, become a key infrastructure in the present socio-economic order. In technical terms, the GPS system is a collection of satellites, ground antennas and control centres, operated by the US military. A constellation of satellites circles the earth in a series of orbits designed to provide maximum coverage at any given moment. The satellites each contain an atomic clock and constantly emit electromagnetic signals containing a timestamp and satellite ID. A GPS sensor matches these timestamps with an almanac of information about the positions each satellite is supposed to be in. The device then uses these pieces of information to triangulate position. GPS therefore relies on a clear line of sight with multiple satellites to establish a location fix. The ability to provide a fix is also a profoundly temporal operation, for the timestamp system to work, the speed of the signal from satellite to device must be predictable.Environmental factors such as air humidity and reflections as signals strike buildings may slow down signals and throw off a location fix. These technical elements are typically hidden from the user. Following Mark Weiser’s influential work (1991), most designers intend that the user concentrate on the task itself and not the tool which performs the task. As a result, GPS technology can seem light and odourless when reduced to a flashing, blue, ‘you-are-here’ dot on a map. Walking With Satellites seeks to bring attention back to the infrastructure by leveraging architecture to create an experience where GPS fails, thereby inspiring reflection on the ways in which meaning emerges across the entire network, rather than being concentrated in the hands of the user. Many of the first generation of locative media art projects in the early 2000s (such as Blast Theory’s work or the [murmur] project) were focussed on adding text or sound content to spaces by GPS tagging. These techniques often owed a debt to the concept of detournment proposed by the Situationists in the 1950s and 60s where the city is made new and unfamiliar (Debord 1995; Tuters 2012). Annotating spaces by adding location-specific content has since become a common tactic for commercial apps. Perhaps in response, some more recent art projects have shifted their attention to the technical elements in the infrastructure. Mark Shepard’s Hertzian Rain (2009) comprised an interactive system wherein people wore a set of wireless headphones to stream sound, but also carried umbrellas coated in aluminium foil to disrupt the operation of the wireless network. In an added layer of complexity, the transmission would also distorted in the transmission software, according to a reading of the relative positions of the listeners. This system created unpredictable fluctuations in the ability of listeners to hear the transmission, thereby taking attention away from the primacy of the user/listener to create meaning from the work. The presence of a human body was a distorting agent, as much as something through which meaning was understood. Likewise an object such as a foil-covered umbrella had just as much influence over the emerging sound content. 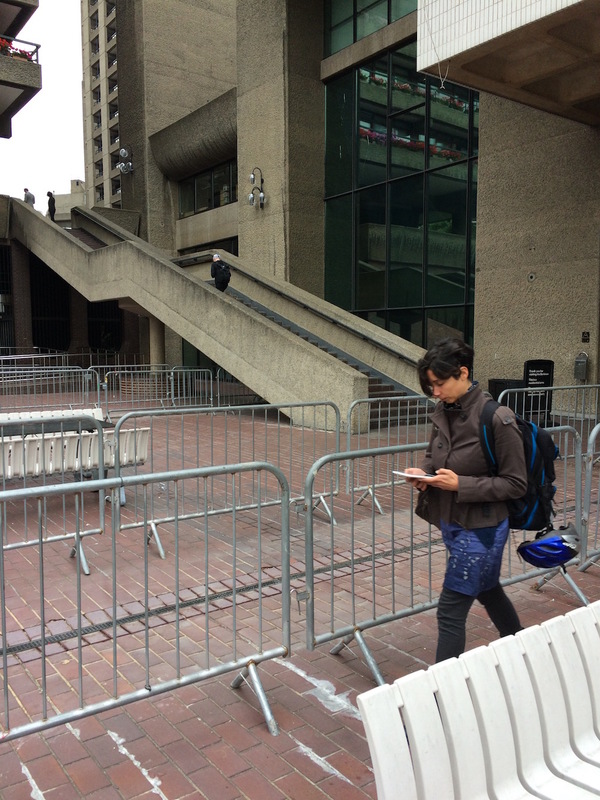 In another project focussed on distortions and breakdown, Nikki Pugh’s Landscape Reactive Sashes (2012-2013) had participants walk with two GPS devices. Owing to differences in site and sensor, each produces slightly different location readings. The readings are compared with a high-quality GPS sensor which has a clear view of the sky and participants are informed when accuracy drops by a vibration on a sash hung over their bodies. The project also produces line-drawings of the routes recorded by each device which demonstrates the differences in the ways each device apprehends and records location. This project again, leverages contingencies in the infrastructure to demonstrate that location is not a given and the processes used to establish it have a particular materiality formed from the nature of the sensor and the interplays between sensor, satellite and site. In order to make GPS infrastructure visible I organise walks in architectural sites which have the potential to disrupt its smooth operation. This is usually done by picking spaces which have limited lines of sight with the sky. These include narrow streets or building complexes with covered walkways and underpasses. 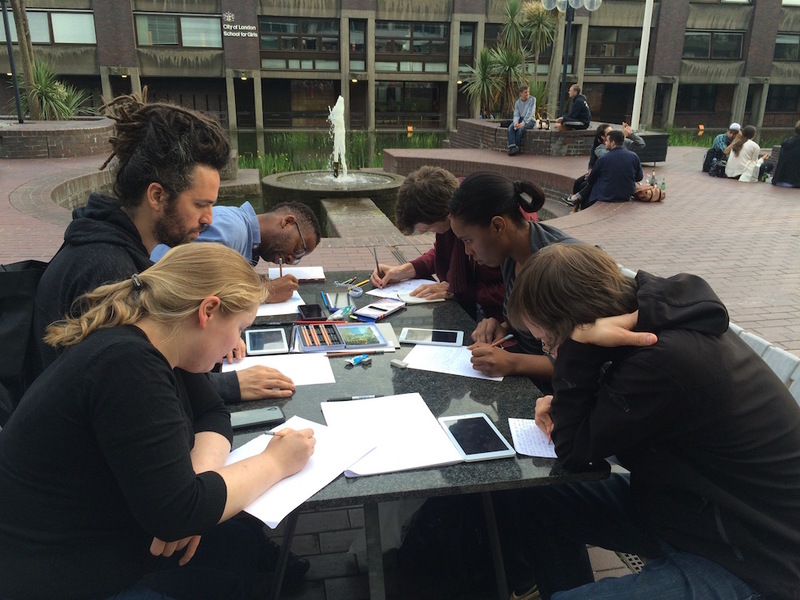 The walks often take place in collaboration with existing arts programmes and the participants are unpaid volunteers. 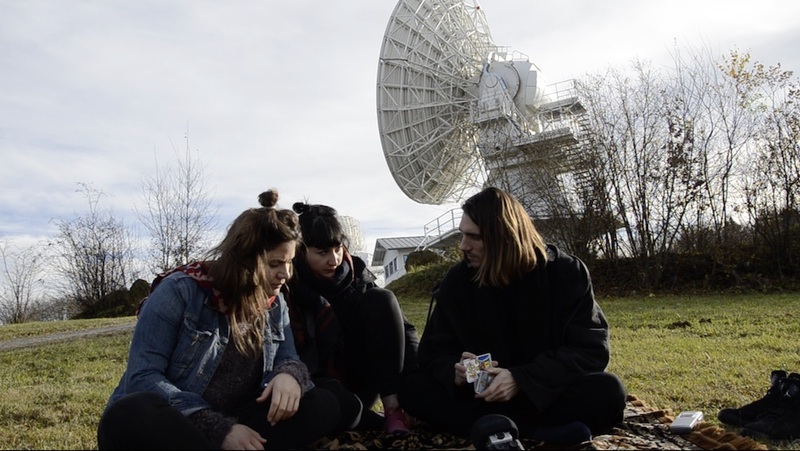 During the walk, each person is given an android smartphone running an app which reverse-engineers the process of location fixing to show them where the satellites are in relation to them. At present I use a commercially available app, GPS Test, but plan to develop my own version of the app based on the themes which emerge from the workshop process. After walking around the site individually for some time, the attendees reconvene and draw and write responses to the experience. We then conduct an open-ended discussion. I use what is written, drawn and discussed to establish themes around perceptions of the infrastructure. The participants gain knowledge of how a hidden but essential technology operates and are able to reflect back on that technology’s implications. From the walks to date, the dominant themes have been; ‘surveillance’; ‘interface’; and ‘signal materiality’. Documentation of these walks is included in the appendix. At this point, there are a couple of different uses for the themes. Within my PhD work I am using them as prompts for short-form design workshops. 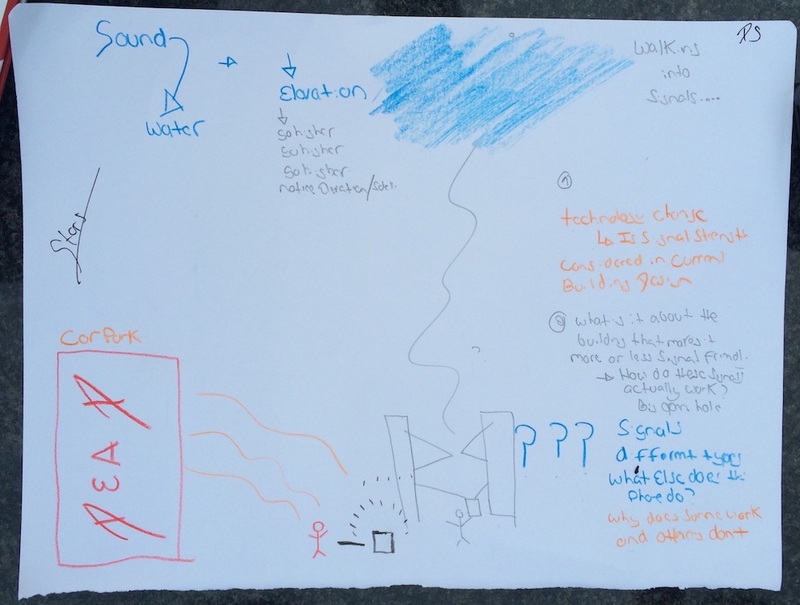 Here my research aim is to use the design process to add another discursive layer to engagement with infrastructure, a kind of “inventive problem making” (Michael 2012), which seeks to pose rather than answer questions. I would also take cues from Bill Gaver’s conception of ‘research-by-design’, understood “a generative discipline, able to create multiple new worlds rather than describing a single existing one” (2012). Art practices have a particular freedom to conduct “thought experiments” (Latour 2004) about the way existing relations can be taken apart and re-arranged. This allows potential to reflect back on existing socio-technical practices and inspire new ones, thereby working to “enrich and not only reduce” (Asdal & Moser 2012) the object of study. These workshops will each be catered to specific themes (surveillance, signal materiality, interface) and will be aimed at design students. It is intended that this exercise can help students to get a new perspective on a familiar technology. 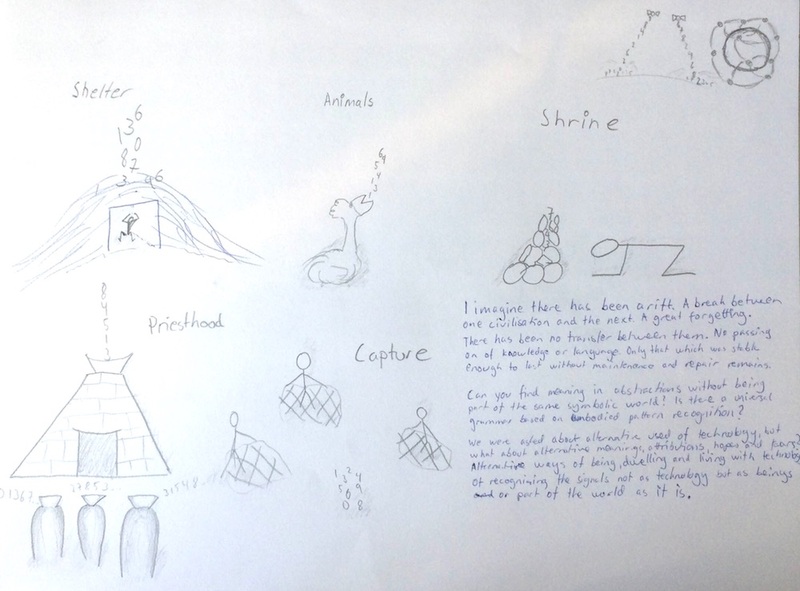 A second use of the themes emerging from the workshop is more speculative. Here I am particularly inspired by the possibility of the different object phenomenologies (Bogost 2012) which may exist across the GPS network. The development of this work is ongoing as I conduct interviews with artists, engineers and astrologers. Ultimately I would like to make steps towards a new mythology by which to understand the GPS network and the objects within it, one which is informed by the possibilities of different perceptions of the world. How might satellites perceive space? Is this even the right question, we might also wonder what an orbiting atomic clock could perceive? The collective name for an array of satellites is a constellation. How might we describe such an array of objects in a similar way to how our ancestors described the stars? To date this work has produced a movement workshop where participants are asked to re-imagine themselves as having satellite bodies buffeted by electromagnetic storms. As part of this process I use devices which sonify electromagnetic activity in the cell phone and wifi frequency range. I have also begun to develop a practice called GPS Tarot. 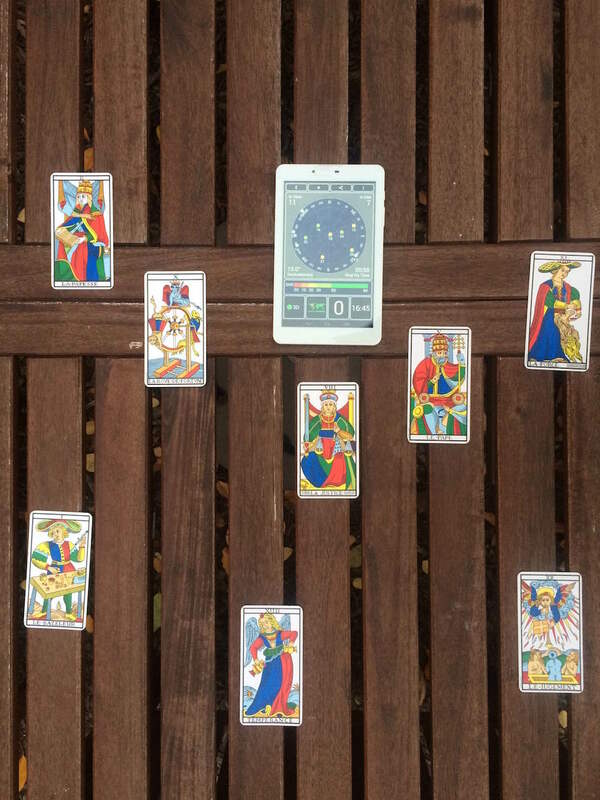 I give tarot readings where I arrange cards in a pattern to match the positions of satellites overhead. I then read an active and emotional line on the cards in response to a question. This activity takes place with volunteers both in person and remotely over SMS and whatsapp. The practice is not an attempt to tell the future, but rather to provide space for participants to reflect on the present. It echoes the storytelling and divination potential people have long ascribed to the stars, using them to offer a new perspective on the fundamental role GPS satellites play in telling us stories about where we are on the earth’s surface. Asdal, Kristin and Moser, Ingunn.2012. “Experiments in Context and Contexting”. Science, Technology and Human Values, 37, 4, 291-306. Bogost, Ian. 2012. Alien Phenomenology, or What It’s Like to Be a Thing. Minneapolis: University of Minnesota Press. Gaver, William. 2012. What Should We Expect From Research Through Design? In Proceedings of the SIGCHI Conference on Human Factors in Computing Systems (CHI’12). 937-946. Latour, Bruno (2004). ‘From Realpolitik to Dingpolitik – An Introduction to Making Things Public’ in Making Things Public-Atmospheres of Democracy catalogue of the show at ZKM (edited by Bruno Latour & Peter Weibel). Cambridge. MA: MIT Press. Michael, Mike. 2012. “What Are We Busy Doing?”: Engaging the idiot. In Science, Technology & Human Values, 37,5: 528-554. Tuters, Marc. 2012. From Mannerist Situationism to Situated Media. Convergence: The International Journal of Research into New Media Technologies 18(3). 267–282. Weiser, Mark. (1991) “The Computer for the 21st Century”. Scientific American, 265(3): 94–104.